Portland’s MusicfestNW has always had one of the more diverse festival lineups around. A large part of that is because — rather than jamming thousands upon thousands of people asses to elbows in a huge field on some farm somewhere — MusicfestNW puts the action into venues scattered around Portland, setting the population loose. It is less of a festival and more a set of well-curated shows that all just happen to take place on the same weekend. Accordingly, I skipped around town to see multiple acts, my favorite of which were Godspeed You! Black Emperor at Roseland Theatre, Mount Eerie at Aladdin Theatre, and Frank Fairfield at Bunk Bar. 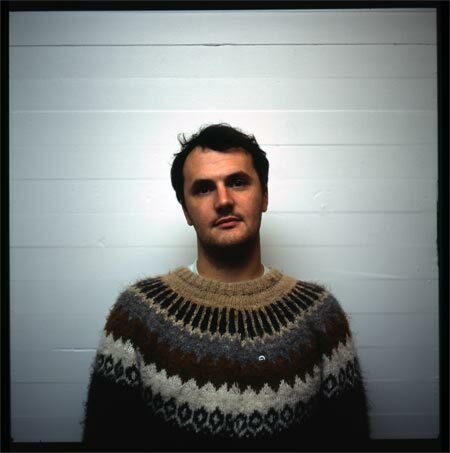 There are few constants in life, but one thing that can usually be relied upon is that every Mount Eerie performance is going to be different from the last. At this year’s MusicfestNW that may or may not have been the case considering Mount Eerie opened for Bonnie Prince Billy two nights in a row at Aladdin Theater — but if you caught one of those sets, it was probably quite a different affair from the last time you saw Phil Elverum perform. Elverum is an adaptable performer. Aladdin Theatre is a sit-down venue, and a Bonnie “Prince” Billy show necessitates a fairly muted and low-key scene. Sure, the sold-out crowd was buzzing, but they were buzzing about as much as you can for a headliner that plays Americana and folk. Mount Eerie’s performance switched to match that feeling in the air. On stage, it was just Elverum with an acoustic guitar flanked by two female singers, singing backup vocals and doing verbal renditions of some of the instruments on his songs. It was a change from sometimes noisy and fairly abrasive solo shows. The chatter overheard afterwards ranged from people wondering who the hell Mount Eerie was to those wondering what the hell Mount Eerie was doing. It was an odd set from Elverum for sure, but a bold one, and one that he hit right on the button. Sometimes — especially with Mount Eerie’s recent sounds — it’s easy to forget how soft Elverum’s music is at times (see: “Through The Trees”, below). This particular performance was one that seemed a little bit out of left field, but it was one that worked as well if you appreciate the variety of Elverum’s music. Editor’s Note: We should probably also mention his upcoming November 2013 LP, the ironically-titled Pre-Human Ideas, which features auto-tuned versions of songs from his recent LPs. Yeah. Seriously. One of the main issues of MusicfestNW stems from the depressing reality that venues can only hold so many people. So after getting shut out of seeing Portland’s favorite Portlandia theme songsters Washed Out, and then finding out that the line to get into Prefuse 73 was longer than anyone would want to stand in past midnight, I ended up at the Bunk Bar — home of the fantastic Bunk sandwiches and, this evening, an old-timey performer named Frank Fairfield. Frank Fairfield is one of those artists that makes you disgusted with yourself and the lack of accomplishment you’ve had in life so far. He effortlessly switched between guitar, fiddle and banjo like he has nothing better to do with his life than master each of the great bluegrass instruments. Fairfield proceeded to play into an old-style microphone with a sound so distinct you would’ve thought his time-traveling train, set for the Kentucky foothills in the 1930s, had made an errant turn and ended up in Portland in 2013. Fairfield is in his 20s but plays like he is in his 120s. The folk scene is a bit played out in the Pacific Northwest but that is because many of the bands have abandoned the actual roots of folk. Luckily, Frank Fairfield is a one-man folk revival, picking up the scraps for those that want to hear it. There isn’t much that can be said about Godspeed’s live set that hasn’t already been detailed in and out, all over the Internet and various publications. The art-rock-instrumental outfit was one of the big headliners of MusicfestNW, with two nights at the Roseland Theatre — despite what their name placement on the flyer may have suggested. Godspeed You! Black Emperor opened with “Mladic”, a live staple that finally saw the light of studio day last year, and then methodically steamrolled through a 90-minute set. The band is unrelenting in their noise, but also virtually flawless in bringing it all together. Despite the repetition of instruments (three guitarists, two drummers, two bassists), each band member has his well-earned place, expertly laying out the key notes in any 20-minute song. GY!BE live set, with much of the band huddled in a circle playing to each other, has a live film backdrop with a visual artist constantly feeding film strips into live-manipulated reels. As amazing as the visuals are to watch with the music, it is almost another Zen-like view just to see him work as well. Still, seeing GY!BE is a bit weird. Listening to the band’s music is a very lonesome activity; they aren’t dinner party material, and generally speaking, are something most people probably listen to by themselves on headphones, locked in a corner of their own mind and world somewhere. To experience something that is generally done in solitude surrounded by a group of people — some more fanatical and some festival-goers that aren’t aware of what they stepped into — is a weird experience. But it is also an experience in which Godspeed You! Black Emperor destroy. Live, even surrounded by hordes of people, it is still just you and all the members of the band.